Nokia’s bread and butter devices, in India at least, aren’t their Lumia Windows Phone 8 devices but their Asha range of featurephones. They go head to head with low cost Android smartphones and are better in some ways but also inferior in some. 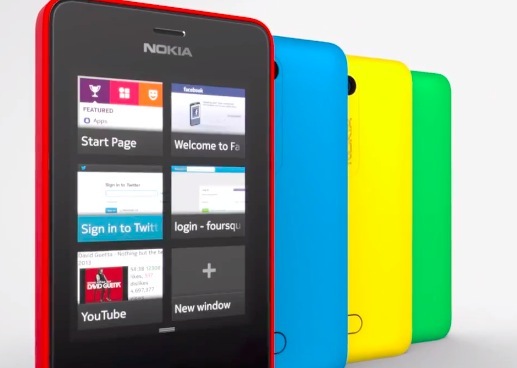 May 9th’s large event in New Delhi marked the launch of a new generation of Nokia Asha devices, with the Nokia Asha 501, announced by Stephen Elop himself. Built on the S40 base but now completely changed and called the “Asha platform”, the Nokia Asha 501 blurs the lines between smartphones and featurephones, read on for more details! 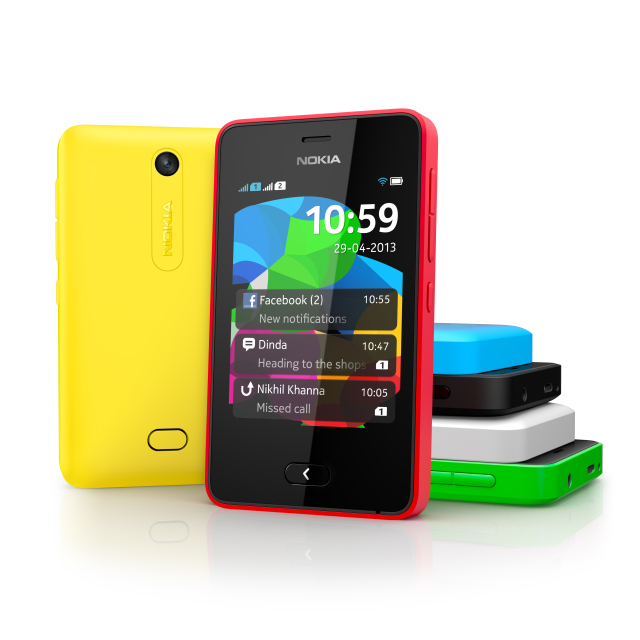 The Nokia Asha 501 is the first phone with the new Asha platform that is the result of the acquisition of Smarterphone, a company that made mobile operating systems for feature phones that gave them functionality close to smartphones. Combining elements of the S40 platform as well as including a new UI and features, the Asha platform is now a very viable choice at the low end if you’re not too interested in apps and such. Hardware wise, it’s got a 1 GHz processor, 128 MB ROM with support for expandable memory via MicroSD upto 32 GB (a 4 GB card is included in the box), a 3.2 MP camera and 3 inch QVGA touchscreen. While none of those specs are impressive, it’s the features that make it stand out. First of all, the phone is tiny, light and gorgeous. It comes in a wide range of attractive colors, white, cyan, black, red, yellow and green. The dual piece body lets you swap panels as well. But most of the new come by way of the new Asha platform. There is no unlock button, instead the phone can be unlocked by simply double tapping the screen. The first thing you’d notice is the new “Fastlane” homescreen, which shows past, present and future, as Nokia puts is. Past includes all calls, messages and recently used apps for easy access, present includes updates from Facebook and such, and future includes upcoming appointments, birthdays and the like. There’s also of course a traditional app list view than can be accessed by swiping. Currently there’s 2 versions of the phone, a single SIM and dual SIM version, which allows you to change SIM’s without turning off the device. It can connect to 2G networks and WiFi networks, but not 3G networks. A 3G variant is planned to be released sometime in the future though. Considering it comes with Nokia’s Xpress browser that can cut data by upto 90%, you shouldn’t have too much problem accessing the internet. Even though it’s a new platform, there’s already a lot of apps present, like CNN, eBuddy, ESPN, Facebook, Foursquare, Line, LinkedIn, Nimbuzz, Pictelligent, The Weather Channel, Twitter, WeChat, World of Red Bull and there are games from Electronic Arts, Gameloft, Indiagames, Namco Bandai and Reliance Games as well. WhatsApp and Nokia’s own HERE mapping service are also expected to make their way to the new platform. The new UI looks pretty slick and is quite an improvement over previous Asha devices. The best part about this tiny wonder? A battery of 1200 mAh that promises talktime of 17 hours, 48 days of standby for single SIM mode and 26 days of standby time for dual SIM mode! At just 99$ without taxes and subsidies, the Nokia Asha 501 is a great choice for budget buyers and can be a good secondary phone as well. It should be available in stores by June. Check out the preview video for a better look at the design and UI, and do let us know what you think of this colorful little device!